I'm not doing a 2018 class this year, but this class is still packed with amazing goodness if you haven't taken it before! Last year we had an absolute blast creating our planner! Let's dive in and create with a one of a kind planner/calendar system that is PERFECT for the creative person! You will have room to ART JOURNAL, TO PLAN, TO DOODLE, FOR STICKY NOTES, FOR WHATEVER YOU WANT! You can also use them to enhance your current planner system! 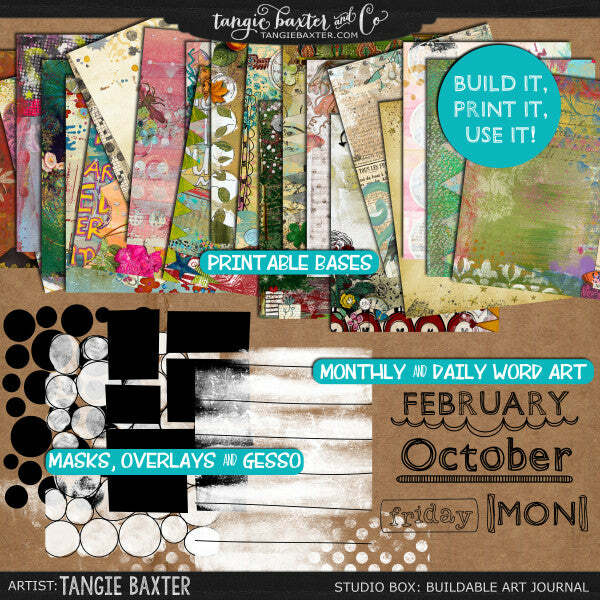 I will guide you step by step as I make my 2016 Tangible Plans™ calendar/planner/art journal! I've learned a lot over the years and I can't wait to share my tips with you. You will get an email invite to the course within 24 hours. NEW FOR 2016! 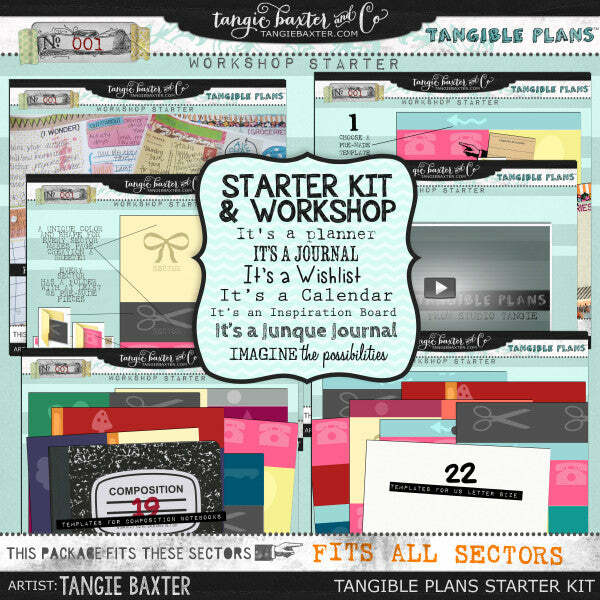 LEARN HOW TO USE TANGIBLE PLANS WITH HALF SHEET BINDERS & MAMBI PLANNERS! A "container" to use as your planner. One year I used a book (see picture) and last year I used a spiral bound notebook, which I LOVED! You can choose any size you want to make your planner, however 8.5x11 is the easiest size to use. Or you can join us to make a smaller size too, but some Photoshop skills are required! You can see the new PLANNER SECTION of our store [here].